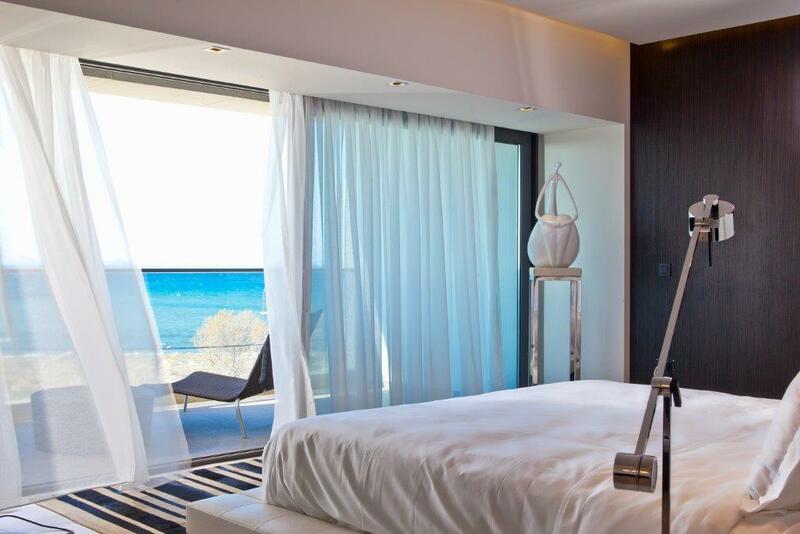 The British newspaper The Telegraph handpicked Aqua Blu Boutique Hotel + Spa as one of the best hotels in Greece, chosen by the newspaper’s expert. 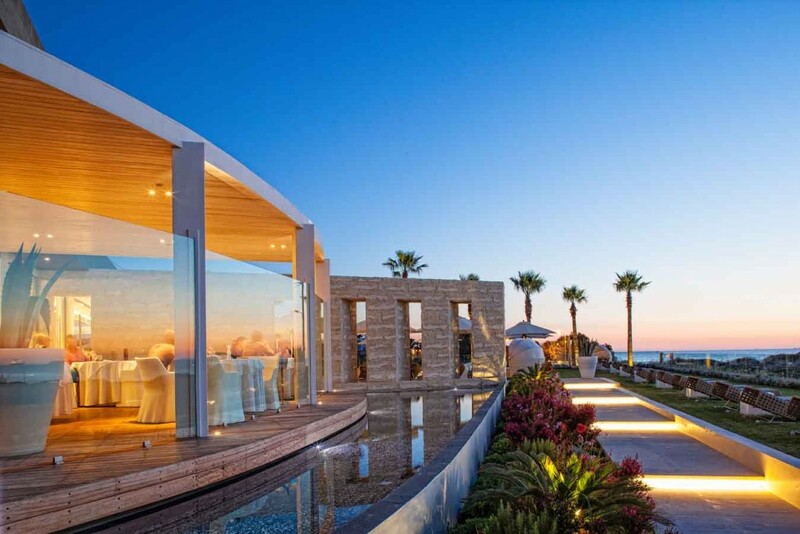 “The only local member of the global Small Luxury Hotels chain, Aqua Blu Boutique Hotel Spa combines cutting-edge design values with notable service, creative cooking, an appealing spa and a secluded but not inconvenient seaside location”, writes Marc Dubin, Telegraph’s destination expert. The décor is ultra-modern overall, though a healthy rosemary hedge flanking the entryway, and the water-feature above a floral parterre, soften the stark Bauhaus lines of the exterior. The large main pool laps wood decking and daybeds; wind permitting, guests use the hotel beach over the road, with simpler sunbeds and snack bar. Tennis courts are five minutes’ walk distant. The signature Tamaris spa, while subterranean, has wood-effect tiles underfoot everywhere and shafts of natural light, for example via an atrium with a painted dead tree. There are three treatment rooms, one for couples; the main post-treatment pool is kept at a balmy 28° C, though there’s also a cooler one. Gender-segregated saunas and a hammam round out the experience; a medium-sized fitness centre adjacent has eight training machines. Service from the friendly and motivated staff is unflagging. An all-suite format divides into six categories, ranging from ‘entry level’ double suites to a palatial loft suite; all have a balcony or terrace (though not always a sea view), laptop-size safes, 40-inch televisions, Coco-Mat bedding (often king-size), bathrobe and slippers, plus premium Apivita toiletries as standard. Besides coffee-making kit, purified water is supplied daily, so no nasty plastic bottles. Floor-to-ceiling windows ensure maximal brightness; colour accents against a basically white background comprise cocoa-brown sofas, charcoal-hued panelling and (the squeamish beware) animal pelts on the floor. Furniture includes ultra-modern light fixtures and design-led chairs with chrome frames. All bathrooms feature a hair-dryer, separate toilet cubicle and extendable makeup mirror. The ground-floor ‘Pool Experience’ suites have large, private plunge pools outside, with a day bed on a lawn at the far end. ‘Pool Signature’ suites are similar but offer hardwood floors and more visual privacy for the pool area. The ‘Loft’ (Exclusive Spa) suite sports pale veneer floors, a bigger-than-usual work desk, a functional fireplace, double balcony facing the straits, and two round-basin sinks in the dark-marble-clad bathroom where apertures flanking the mirrors admit natural light. The main Cuvée restaurant hosts a superior buffet breakfast. 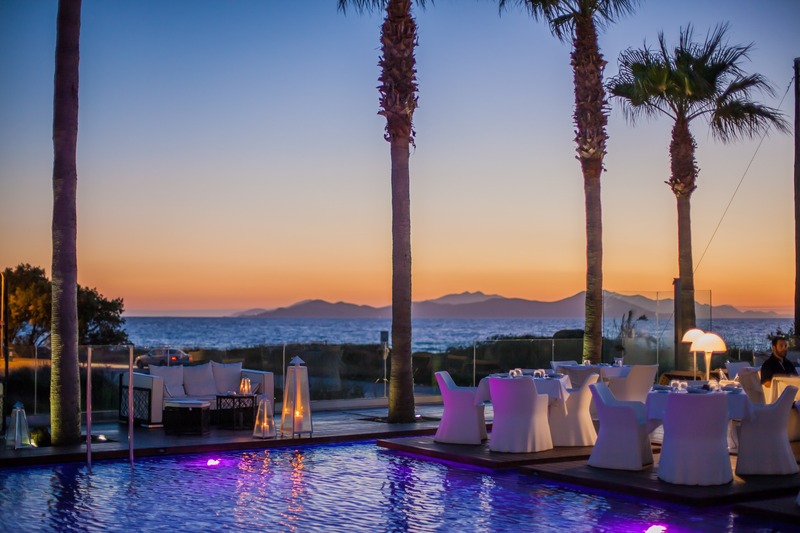 The informal Sips and Bites pool-bar (noon–6pm) has transparent windbreaks, seating inside or out, and snacks such as shrimp, quinoa and spinach salad, lamb chops with oregano purée and vegetables, or for dessert sfakianí píta containing two types of cream cheese and honey. Cuvée (1–11pm) has more formal ambitions with such treats as tuna tartare under passiflora and citrus sauce or kritharáki (orzo) lobster with ouzo and creamed peas, plus creative desserts. Read the whole review of Aqua Blu, here.